No, I have not forgotten about the action replay post for June, just that work has kept me really busy. But now I am back with all glory! June has been a pleasant and a peaceful month with ample rest during the first half and ample work during the other half. I like being busy, so I do not crave for free time. People find this extremely weird, but that is how I am. Being free with a lot of time in my hands makes me feel useless and hurts my ego. Big time. Speaking of ego, have any one of you come across some people in real life who have truck loads of ego for absolutely no reason? Well, in June I met many such specimens. Yes, all of us have egos and it is good if it is in the right amount. Else, it definitely will take you downhill. Some people miss out on learning new things thinking that they know everything in the world. And they find it offensive when people try to correct them when they actually are wrong. Come on, hear the other person out at least! This month I also pruned my Facebook and Twitter friend list. As much as social media is good, it definitely has its bad side. Twitter is a pain in that regard where random people follow you and leave unnecessary tweets on your time line. God bless Facebook's privacy settings! The new mute feature in Twitter hardly helps. I have had men trying to hit on me through Twitter, very well knowing the fact that I'm married. I find it utterly disgusting. I have been planning to go off social media for a long time now, but somehow I cannot bring myself to deactivate my accounts. I'm not addicted to it, but I cannot let them go either. Lately, I am hooked to Instagram. Currently I am participating in the 'July Photo a Day' challenge and it is interesting to see different photographic takes on the prompt. If you are interested in participating, please check this out. I started a new initiative on my blog last month. The 'Roar & Soar' award of which Aathira was the first recipient. That girl amazes me day after day! I received a lot of appreciation for this initiative and I am humbled by the response. This is my way of giving back to the writers I love on this wonderful blogger forum. This June, I got published in Women's Web again. You can read it here. June was the month that I had planned to complete my novel, which I had begun in October last year. Well, I hate myself for this but as of now I have only completed two chapters. Yes yes, I hang my head in shame. 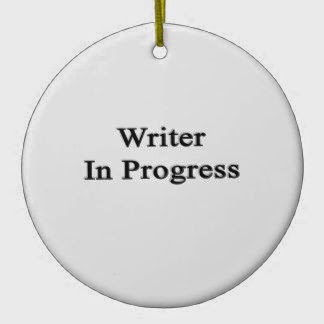 But now I have decided to take it seriously and write as regularly as possible. Hopefully by the end of the year, I shall have something concrete with me. Fingers crossed! I could only read one book this month, 'The Winds Of Hastinapur' by Sharath Komarraju. It was a fabulous take on the Mahabharata and I reviewed it here. My mother-in-law is fascinated by this tale and she asks me her doubts regarding it. She watches the saga on TV and comes back to me with questions. Yeah, I'm kind of a pro in mythology now. While on the topic, have you checked out Sharath Kommaraju's guest post on my blog? My first ever guest post! Come on guys, go read it here and shower some love. This June, I won two contests. One with Indiblogger and the other with BlogAdda. I am elated. Not because I won something materialistic, but because I was the chosen one amongst thousand others. People liked my idea and thoughts and that satisfies me beyond any prize. I write for that and nothing else. The prizes are only the perks. Else, by now I would have had done a million paid reviews and had dozens of ads on my page. No, thank you! I see a few bloggers who do not write regularly, but only post stuff related to contests. Be it any contest, these people are a regular. There is nothing else on their blog apart from contest entries. And strangely, these people win too. Regularly. Writing for contests should just be another feature on the blog, and should not be the only thing in the blog. Anybody disagree with me? My next two entries would be contest entries, one about food and the other about travel. Two topics that I absolutely love. I have already scheduled them as I would not be around to post it. I'm going to Hyderabad to attend a friends wedding and for a mini vacation. The last vacation that Cal and I took was in May. A month has passed! We try to take a vacation every month as we both are travel junkies and love to explore the local aspects of a city. Nothing high class for us. Local food, local transport, local shopping, that's what we are built for and we love each other for that. This is the first time for both of us in the land of the Nizams and we are looking forward to it. Just praying that it doesn't rain and that it is not too hot! June has been a very peaceful and a slow paced month. July has already started of with a bang for me! More on it later! I second what you said about blogs that only post for contests. I have had enough! Just today I was going through one such blog which has posted multiple entries for a contest. Contests are a great opportunity to read good stuff and sometimes they give the much needed inspiration to write on. The recent topics are really good to inspire some posts from my end else I give most of them a skip. But I do not understand how someone can write any amount of nonsense just because a contest demands it! Multiple posts is sure desperation! It annoys the crap outa me! I need to connect with the contest prompt, else I shall sure skip it. Oh and I like that 'July Photo a Day' prompt.. I's interesting. You will be sharing it through your blogger platform then? I did not participate in any contest in June. Thinking of writing for two in July. The winning streak has ended.. IPL disappointed me. Nevertheless, someone has to lose! Bloggers who just write for contest are not really blogging. I don't like them either. But like they say, to each his own. I am sure they don't care as long as they are winning! And we should not really care about them too. Best of luck for your book. I am sure you'll rock! I'm looking forward to your book. Can't wait, actually! Congrats on winning the contests. I do feel contests are fun, but one shouldn't write only when one comes up. I agree, Soumya. Contests should not be sole aspect of blogging. And congrats to you for all your successes this month. Please do post the winning entries. Thanks for the mention again here! And wishing you a very happy vacation ahead! Btw, can't wait to read your book. 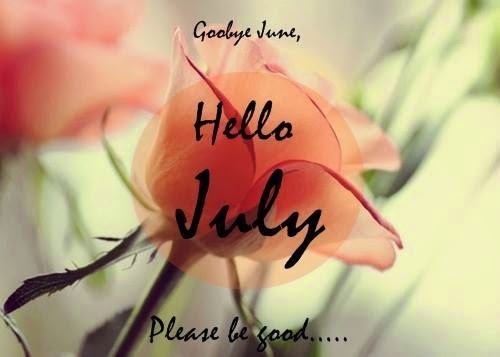 June wasn't a good month for me, I hope July'll be better! Ohhh you are coming to Hyderabad! :) I hope it cools down by the time you are here.. its pretty hot right now. Are you a part of this contest as well?? Join i if not! Congrats for getting published in WomensWeb & for winning 2 Blogging-prizes in 1 month! It's always wonderful to win amidst so much competition! The recognition is what's important! Even I have tried staying away from Social Media & did succeed to stay away from FB! Ah.. June seems a pretty satisfying month. Wow.. congratulations!!! Two achievements in a month.. amazing! Yes, please finish the novel soon.. I'm sure it's going to be thoroughly entertaining. Looking forward to reading your next posts, especially the one on travel. A quintet of Radianceaward for you :) !! follow this link for details..! Just read my favorite post of your blog.. I know I read it real late.. but trust me.. I was delighted.. Congratulations for all contests that you won.. I also read your post of Women's web.. it was just the best!